Plastic surgery is no joke, and finding the most qualified doctor to fit your needs is one of the most important parts of the process. Not only will he or she be the one performing the surgery, but they can help manage your expectations and guide you to the right procedure for the look you are going for. But what happens when you live in Minneapolis, and the perfect plastic surgeon is based in Florida or New York? Are you expected to fly back and forth multiple times just for the sake of a consultation? Thanks to virtual consultation technology, you may not have to. According to RealSelf Contributor Thomas Trevisani, MD, who also offers virtual consults at his clinic in Orlando, the process begins with out-of-town patients submitting all necessary forms and pictures showing “all views of the area they are seeking to improve.” The doctor then reviews the info and gets back to the patient with details of the specific procedures they are a candidate for, along with the estimated cost. “It’s important to understand that it is not a substitute for in-person exams, but is an important preliminary mechanism to establish the doctor—patient relationship,” says Dr. Trevisani. What’s more, some sites and doctors use computer imaging during consultations. These virtual makeover tools allow you to visualize the results of cosmetic procedures after uploading an image of yourself. “While it may sound appealing and exciting, it can be misleading and not accurate enough,” warns Dr. Trevisani. 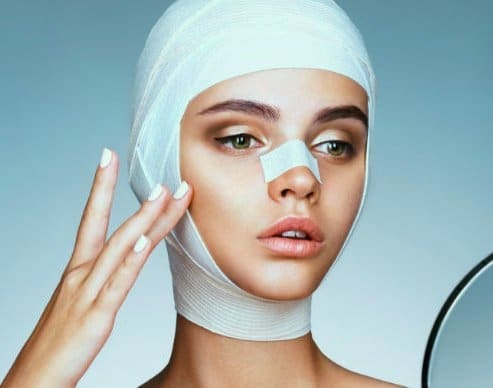 “For example, with procedures such as Rhinoplasty, the imaging does not take into the account the actual swelling process, thickness of the skin, etc. There are disclaimers that come with it.” He adds that he has seen patients who went ahead with surgery at another practice based on computerized images and were left dissatisfied with the results. While all of the new technology is a beneficial way to start the process, it’s just that—a start. “No surgery should ever take place before an actual, in-person consultation takes place,” says Dr. Weintraub, who explains that there are certain things, like the elasticity of someone’s skin, that can’t be determined through photos or videos. “The in-person consultation should also never take place the same day as surgery, which I consider to be unethical, as the patient as well as surgeon need time to digest the process,” he adds. Obviously, no matter how next-level the technology is, surgery is serious and not something to rush into.